Grilling season always challenges me to come up with new and exciting burger recipes. These bold chipotle smash burgers take your classic burger recipe up a notch by adding a spicy kick and delicious bacon. I guarantee you will not have leftovers after making these at your next cookout! 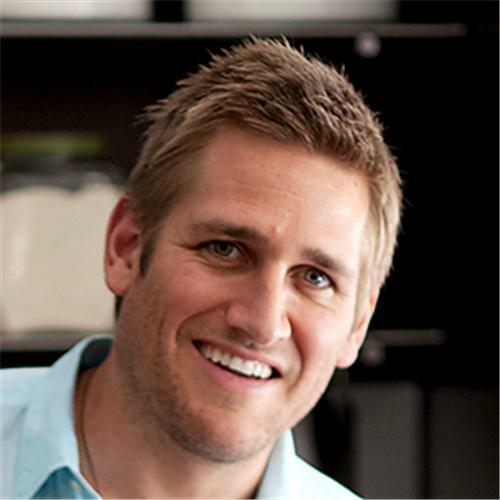 Preheat Curtis Stone Dura-Electric Griddle to 350°F and melt butter. Add onions and cook, stirring often, for 15 minutes, or until caramelized. Transfer onions to a bowl and stir in sugar. Season with salt and pepper. Keep warm. Wipe griddle clean. Preheat griddle to 450°F. Portion ground beef into 4 balls; add to griddle and, using spatula, immediately flatten each ball into 1/2-inch-thick patty. Sprinkle with salt and pepper. Cook 1 1/2 minutes, or until brown on bottom. Flip patties, season, and top with cheese. Cook 1 1/2 minutes, or until brown on bottom. Place patties onto bun bottoms.